Mutt Mitts are available to dog walkers in 53 locations throughout Orleans. 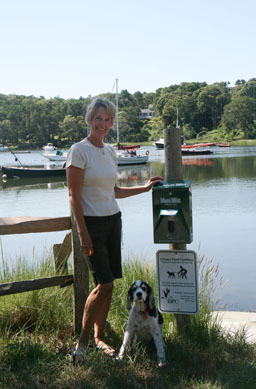 The first dispensers were installed in 2002 at the Barley Neck and River Road Landings by the Friends of Meetinghouse Pond. In 2005, the Pleasant Bay Alliance obtained a grant to fund dispensers and mitts at Pleasant Bay Locations in Orleans, Chatham, and Harwich. Orleans Pond Coalition recruited volunteers to maintain the Orleans dispensers and expanded the program to include Cape Cod Bay, Nauset Estuary, and several fresh water pond and conservation areas. Commercial sponsors were also recruited. Additional mitts were supplied by Stop & Shop, Shaw’s Market, OPC, Snow’s, and Animal Hospital of Orleans. The program has since expanded to include over 50 locations dispensing over 67,000 mitts in 2017. Agway of Orleans has become a very generous sponsor providing up to 24,000 mitts per year since 2008! In addition to beaches, landings and conservation areas, dispensers are located at the Farmer’s Market, community gardens and bike trail. That’s a lot of pet feces which will not reach our waterways or spoil our walking paths! Why do we need to pick up after our pets? Pet feces contain nitrogen and phosphates that contribute to the “nutrient loading” of our waters which results in algae blooms. Feces also contains high levels of bacteria that can contaminate our freshwater ponds and our saltwater bays. Our ponds and bays are used for water contact sports such as swimming, water skiing, and boating. In addition, our estuaries are an important source of shellfish. Shellfish filter the water and help to clean it but they also can become contaminated by bacteria. Help keep our waters clean and shellfish healthy for those who love to eat them! Please Carry in and Carry Out! When walking your pet, please practice “carry in and carry out”. 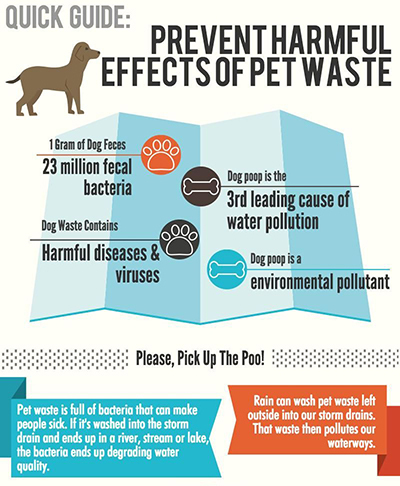 Your dog carried the waste in, please do your part as a responsible pet owner to clean up after your dog AND carry it home with you to dispose of in your trash. Mutt Mitt bags are heavy-duty (but biogradeable) plastic that contain the waste and the odor making it easy to remove the waste from our landings or walking paths. 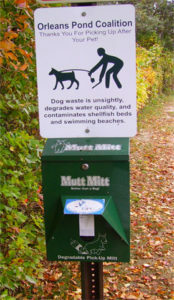 The majority of locations where there are Mutt Mitt dispensers do not have trash receptacles or trash pick up service. Please do not leave dirty bags behind for our volunteers to have to remove for you. Need a Dispenser? If you have identified an area in need of Mutt Mitts, please contact OPC and let us know where! Want to Volunteer? Volunteers are needed to monitor and restock our Mutt Mitt dispensers throughout the year. Contact OPC to volunteer! Thank you, Volunteers! Click here for volunteer form. ✦ Dispensers removed May 1 thru Columbus Day when no dogs are permitted.